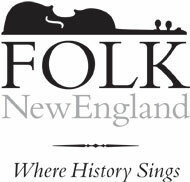 Project: Re-brand identity of New England Folk Music Archives to increase visibility and reach. Create and write traditional and social media for non-profit organization whose mission is to collect and preserve rare folk music materials, focusing on the Folk Music Revival. As consulting Creative Director, launch collection inventory, manage archives and volunteers, curate and present exhibitions, and create special lecture and music events. Host artist interviews in organization’s Folk Bridges lecture series. Detail: Research and demo collections management software, digital assets management systems, and linked web publishing tools to plan public access to archives via Folk New England website.